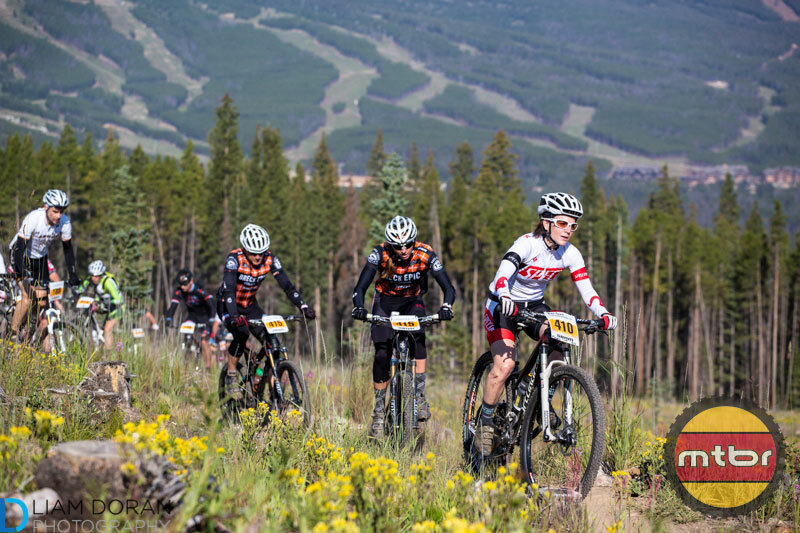 The final stage of the Breck Epic wraps up with two trips over the Continental Divide. Riders prepare for the final stage. Photo credit: Liam Doran. Whew. It’s over. 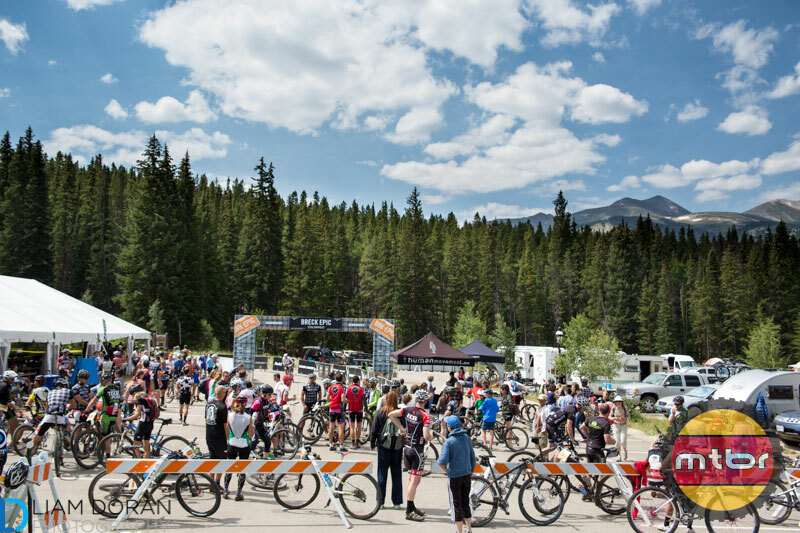 Without a doubt, the Breck Epic has been the hardest event I’ve ever done on a bicycle; nearly 240 miles and 40,000 feet of climbing, all above 9,500 feet elevation, all on a singlespeed. 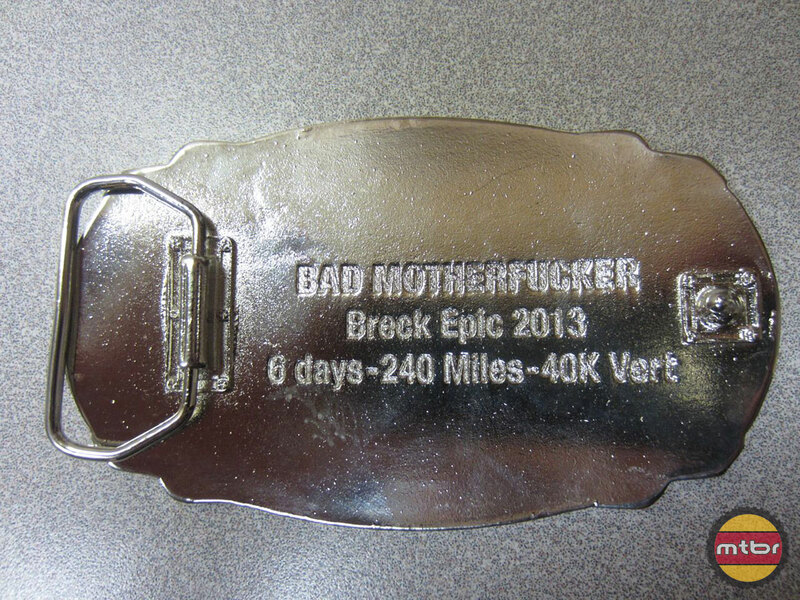 At least that’s what it says on every finisher’s BRK EPIC belt buckle, along with the words “Bad Motherf*cker”. Damn straight. Every finisher receives this much deserved belt buckle. 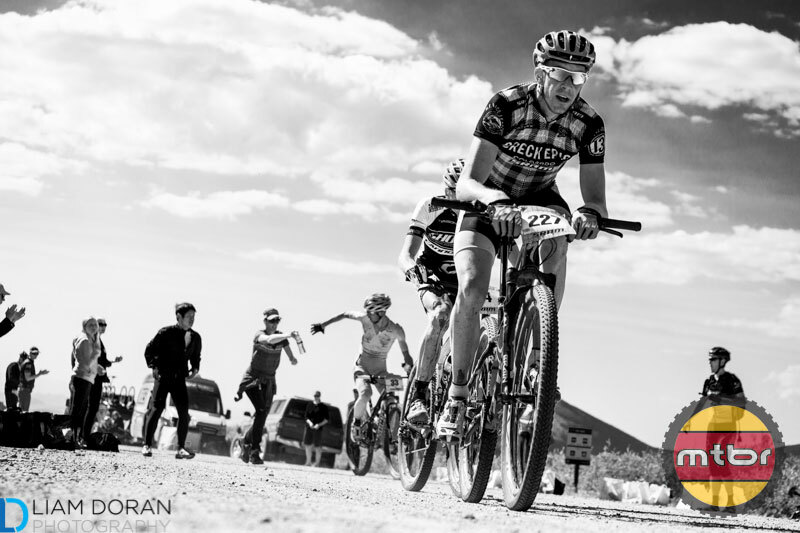 There are many things I learned this past week in the Breck Epic. First is that I’m pretty good at pushing my bike up a mountain. I’ve never pushed my bike more than at the Breck Epic, so hike-a-bike until now has been a completely undiscovered talent. The two stages with the most hike-a-bike – Mt. Guyot Stage 3 and Wheeler Pass Stage 5 – were the two stages I managed to pull off a third place finish in the singlespeed class. 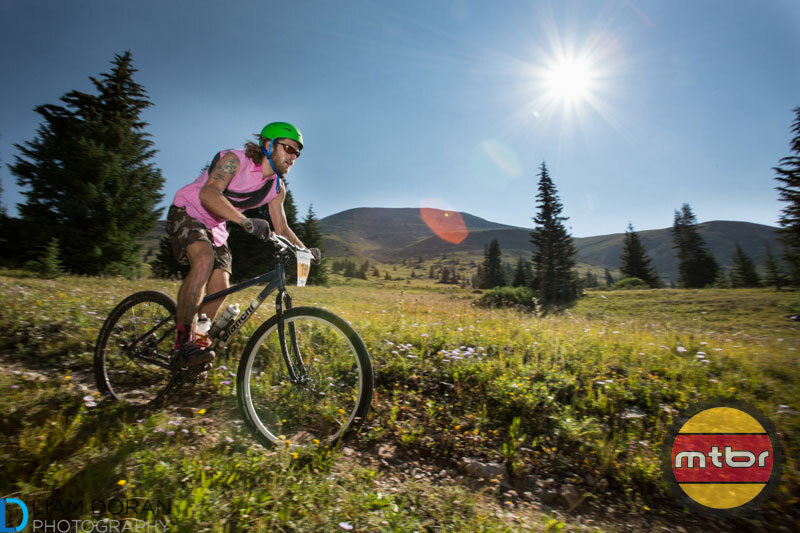 If you want to survive the Breck Epic, get good at hiking your bike. Photo Credit: Eddie Clark. Another thing I learned was that trying to take a swig of water while climbing can ruin your entire day. At 10,000 feet – especially if you’re a lowlander – you need every single breath imaginable to keep the engine running. Even one slight interruption in breathing can ruin everything. I found myself choking on water numerous times this week while trying to sneak a drink when climbing. Tiny sips more frequently were the answer. A third thing I learned is that above 12,000 feet, when you point your bike downhill, thanks to the incredibly thin air, your bike accelerates faster than you could ever imagine. Brakes howl, pads melt and your forearms feel like overcooked noodles by the bottom of every descent. Nothing captured this sensation better than the Stage 5 excursion to the top of Wheeler Pass. At the 12,500-foot summit of Wheeler, nothing but scrub about six inches high survives, creating a moonscape environment laden with rocks and thin air. The 30-minute hike-a-bike was a relentless slog, a colorful, lycra-clad death march to the heavens. The reward was breathtaking views – literally – a bacon handup and an absolutely ripping 2,500 foot descent, where the brave were rewarded so long as they kept the rubber side down. Riders take on the first climb of the final stage. Photo credit: Liam Doran. Stage 6 was the final test, a relative cakewalk compared to the five previous stages. 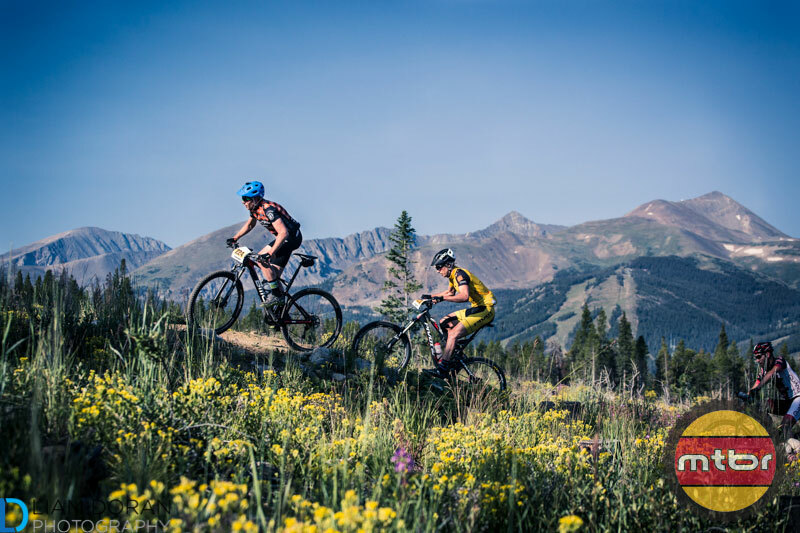 Only 31 miles in distance and 3,500 feet of climbing, Stage 6 went over the Continental Divide twice at 11,500 feet elevation and featured the famous Gold Dust trail, a ripping fun singletrack that follows an old gold prospecting route. 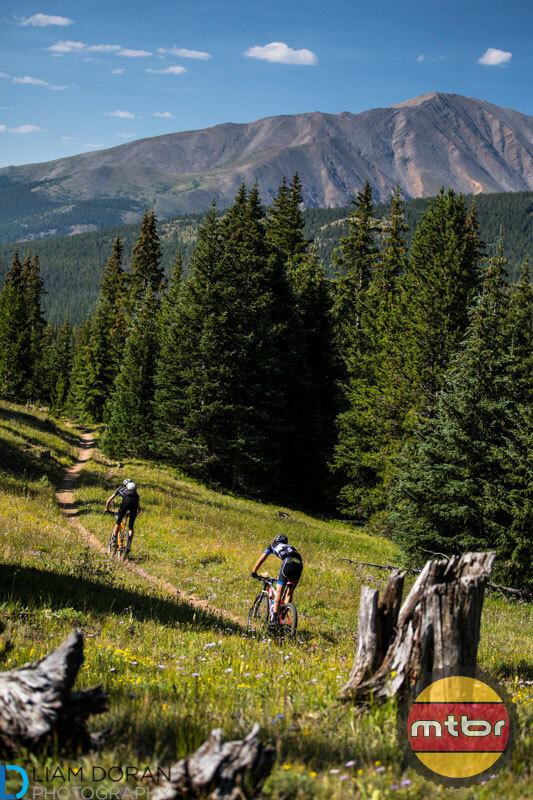 When you weren’t head down, grinding away at the pedals with what little energy you had left in your legs, the breathtaking scenery of the Continental Divide was on full display for all riders ascending Boreas Pass road. It was a gift for those who recognized it, with commanding, 360-degree views and a rare opportunity to cross over the Continental Divide twice. 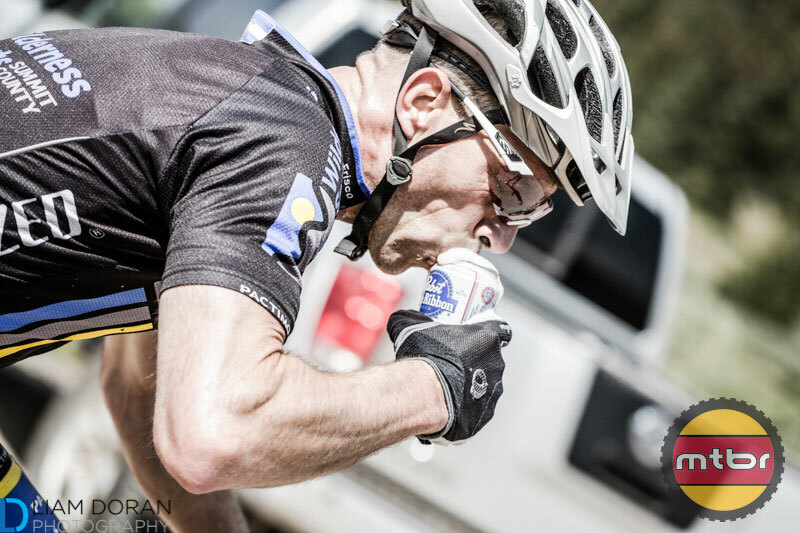 Topeak/Ergon gave PBR handups to all riders before the final descent. Photo credit: Liam Doran. 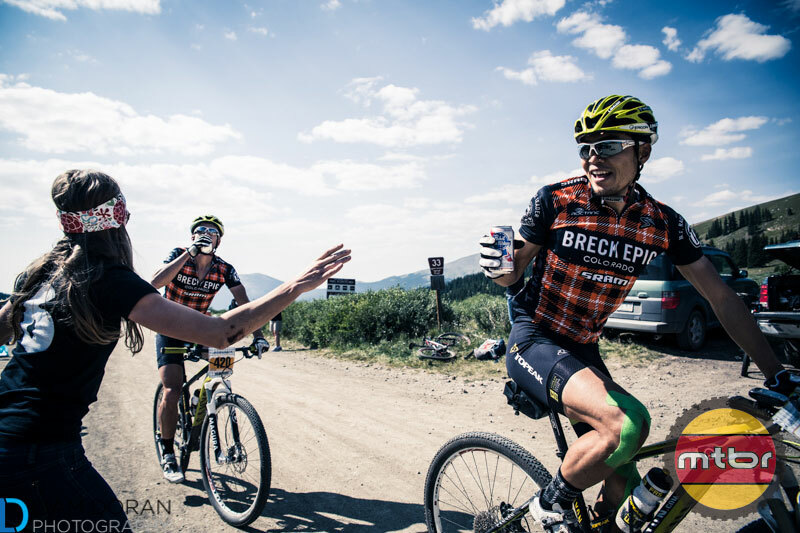 After riders crested the divide a second time, Team Topeak/Ergon gave celebratory sudsy handups to all riders before the final descent back into Breckenridge. It was a welcome reward to all who conquered this incredibly difficult trial on a bicycle. Kyosuke Takei barely edges out Alex Grant for the Stage 6 win. The Open men saw an exhilarating sprint finish in Stage 6 between Alex Grant and the Japanese rider Kyosuke Takei, with Takei barely edging out Grant at the line. Todd Wells finished close behind in third place on the day and wrapped up the six days of racing with an incredibly fast 16:49:16, making Wells the 2013 Mountain Bike Stage Race World Champion. Wells edged out second place Grant by only 9 minutes, 4 seconds. 2012 Champion Ben Sonntag came in third with a total time of 17:18:55. 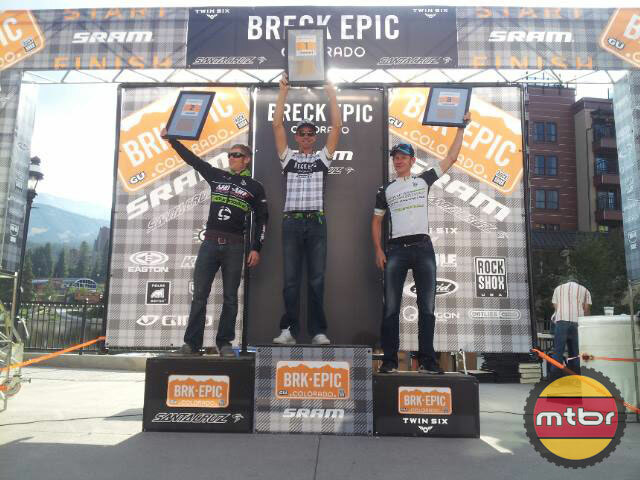 Todd Wells is the 2013 Breck Epic winner and Mountain Bike Stage Race World Champion. Amanda Carey successfully maintained her lead, taking the Women’s Open Mountain Bike Stage Race World Title with a total time of 21:47:00. Kate Aardal put up a tough fight, edging out Carey for the final stage win, putting her in second overall with a total time of 21:56:51. Sue Haywood finished third overall with a total time of 22:08:09. 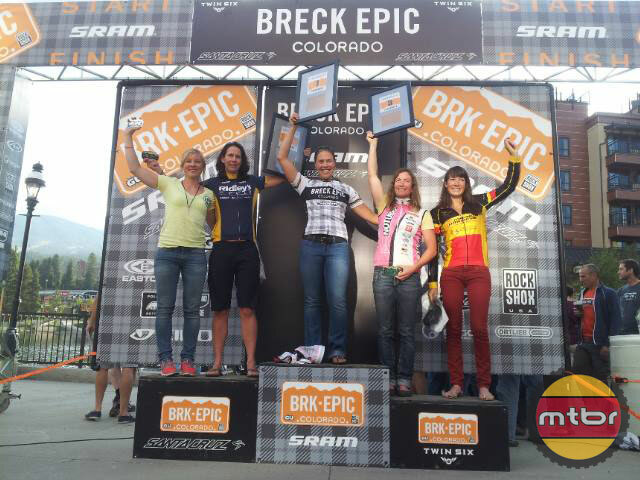 Amanda Carey is the 2013 Breck Epic winner and Mountain Bike Stage Race World Champion. Since the UCI hasn’t laid claim to a Mountain Bike Stage Race World Championship, race promoter Mike McCormack took it upon himself to own the title. 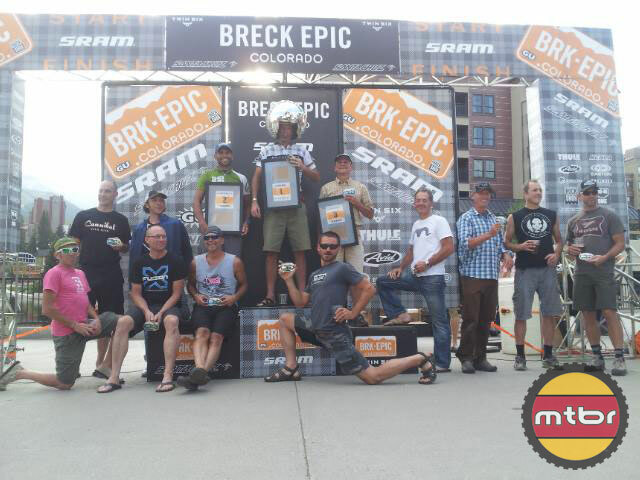 Every category winner received a Breck Epic champion’s jersey with the iconic world champion rainbow bands on the shirtsleeves. 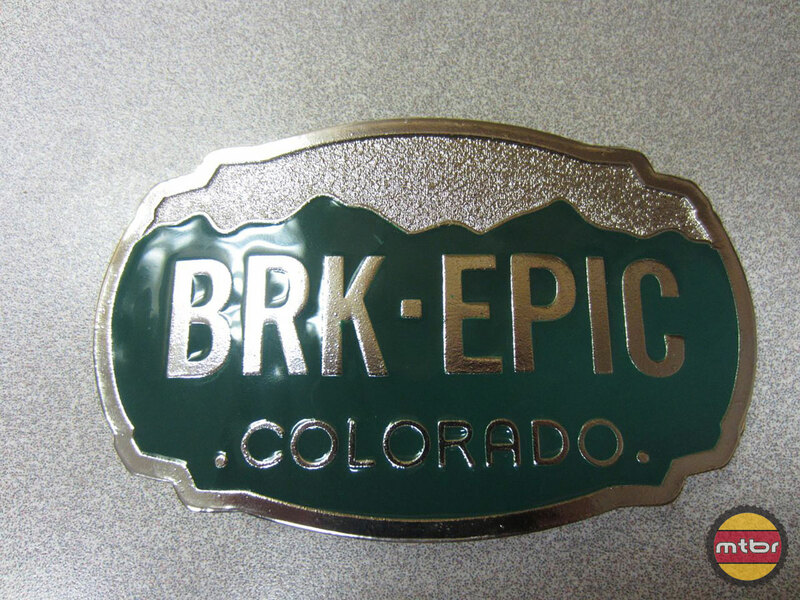 McCormack and his crew pulled off another Herculean effort putting together the Breck Epic, practically working around the clock to ensure the highest level of customer satisfaction for everyone involved. Everything McCormack and his crew of selfless, dedicated staff and volunteers do is catered to the needs of the riders. No matter how strange the requests – whether for pickles and peanut butter on a piece of bread or marshmallow fluff and potato chips – when a request is made, McCormack obliges. The hardest of all hardmen – Chris Latura rode all week on a fully rigid Bianchi singlespeed. Photo credit: Liam Doran. This year saw an entirely new Enduro category, which added to the complexity of an already logistically challenging event. People submitted their Strava usernames and competed in several predetermined Enduro downhill segments across the six-stage event. Although there were some minor teething issues, for a first attempt, the Enduro class went surprisingly well, and will most likely be featured again next year. 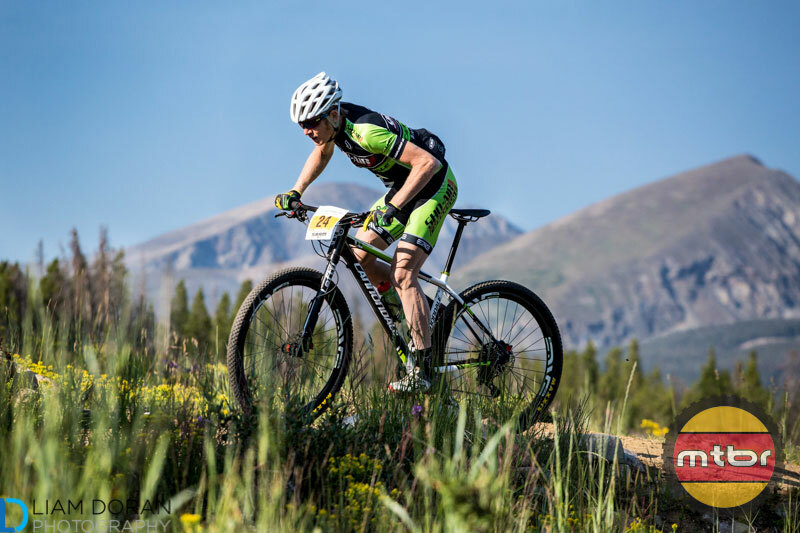 Breckenridge local Nick Truitt is the unofficial male winner of the Enduro competition while Kate Aardal is expected to take the women’s title. Then there was the unofficial Stage 7 after party at the Gold Pan Saloon. I started the stage, danced and drank for a while, but quickly grew tired of the competition on the dance floor who mistook the party for an America’s Got Talent breakdancing audition. Being sweaty, hot, out-of-breath and constantly getting bumped into by another hot, sweaty and out-of-breath guy got old quick. It was the only stage I ended up quitting early. After the final stage, I swore to my friends up and down that I would never do this event again on a singlespeed. It’s hard enough on a geared bike. But pain is only short-term. I’m sure that in only a few weeks I’ll forget the incredible amounts of suffering and sign on for another week of painful pleasure racing across some of the most awe striking terrain in the world. Dan Durland takes the singlespeed title and dons the illustrious disco ball helmet. 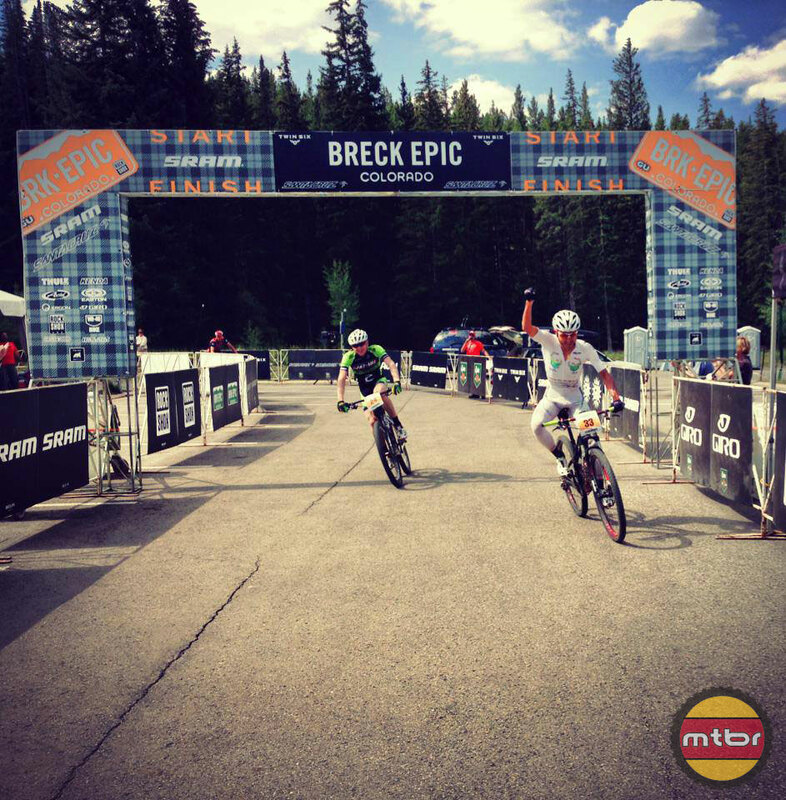 The Breck Epic was without a doubt the hardest and most rewarding adventure I’ve ever undertaken. 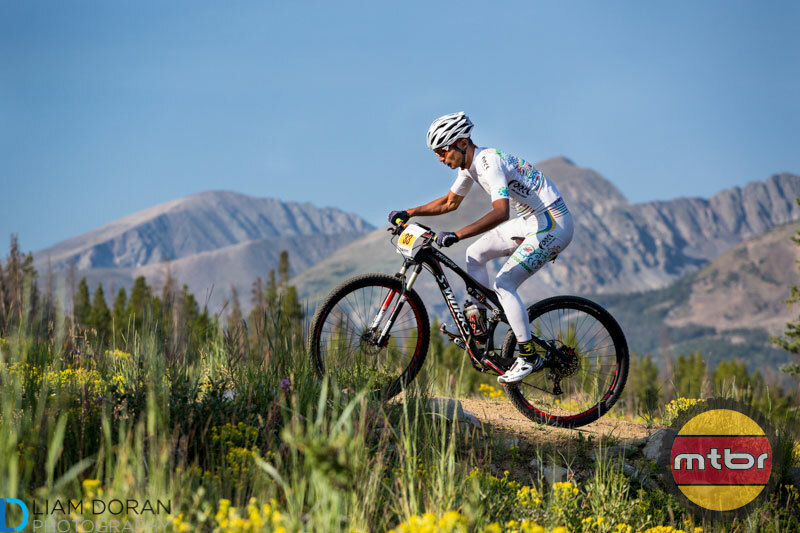 It tests every aspect of a mountain biker including fitness, technical skill, climbing ability, hike-a-biking, mental toughness and perseverance while trying to function more than two miles above sea level. 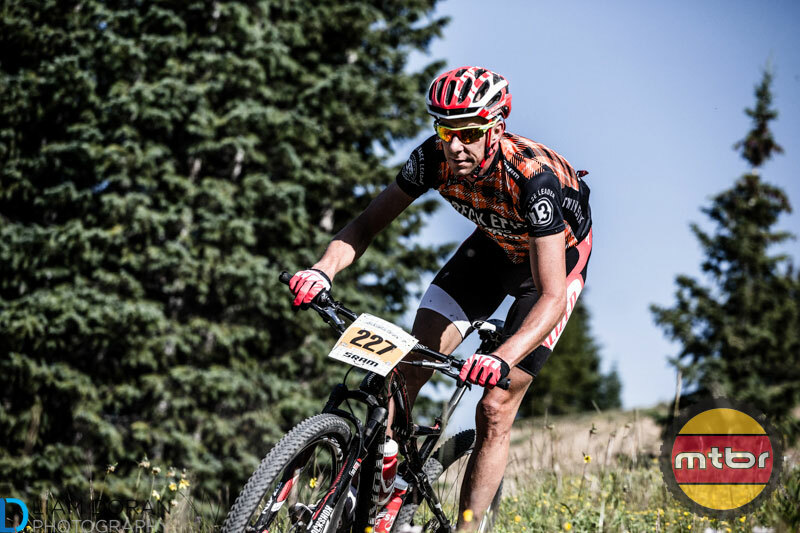 It might possibly be one of the hardest races you can do on a mountain bike. Sound fun? 2014 registration is open now, so sign up before it sells out.